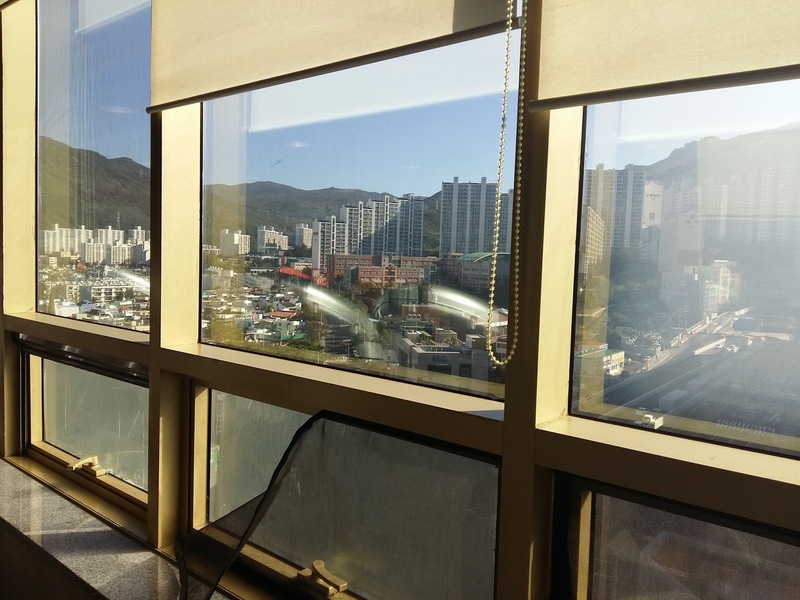 As many of you probably remember, I’ve been working diligently to shed weight while in Korea. 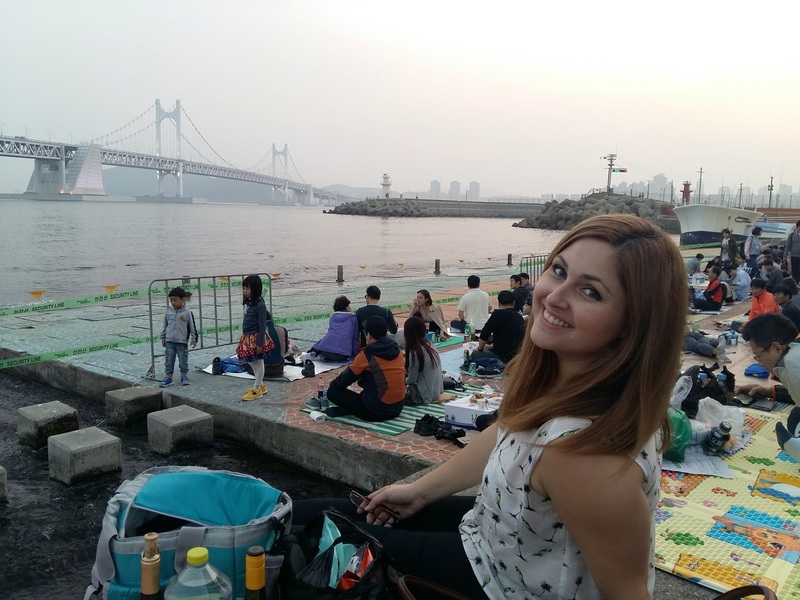 I didn’t get a scale until April or May, and I figure I ballooned when I first arrived in Korea seeing as I had brought a bunch of Cadbury Creme Eggs I never ended up giving out (which I obviously finished within about a week and a half). 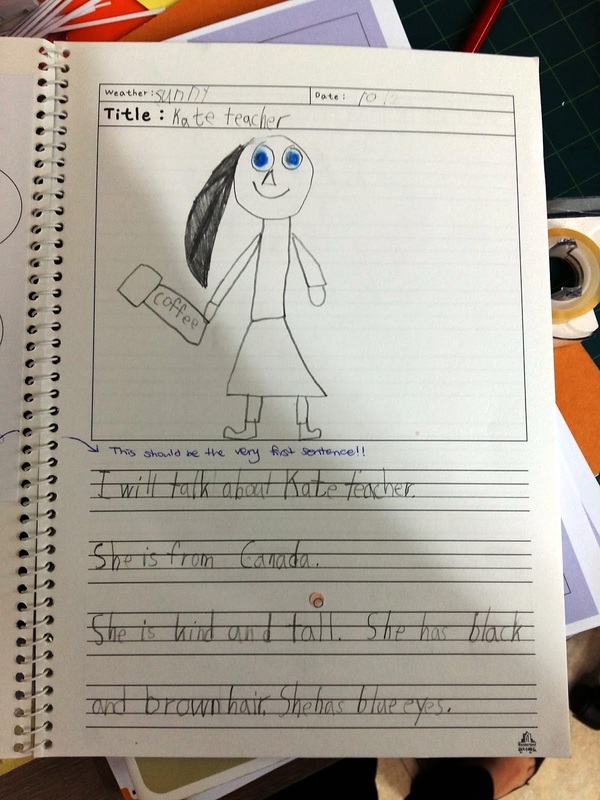 I was also in transit moving to my new school, didn’t have pots and pans yet, and hadn’t really figured out how to cook tasty meals using a glorified hot plate. 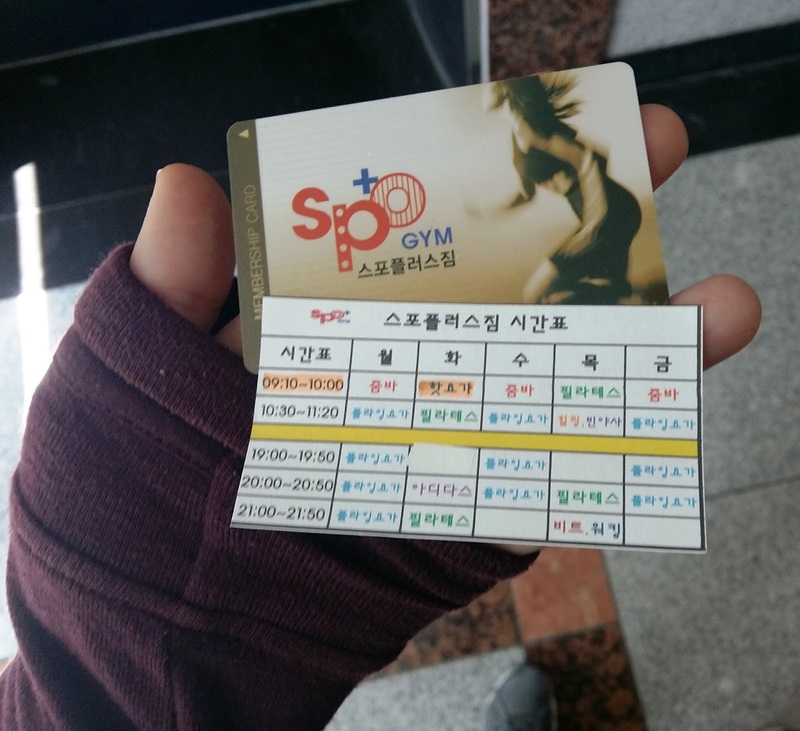 I had been working out at Eco-Gym from March 2015 just up to my Shanghai vacation over Chuseok (September 25th – 28th). Things were going pretty well and I had been losing weight steadily even if it was a little slow for my liking. Enter Velocity Fitness. 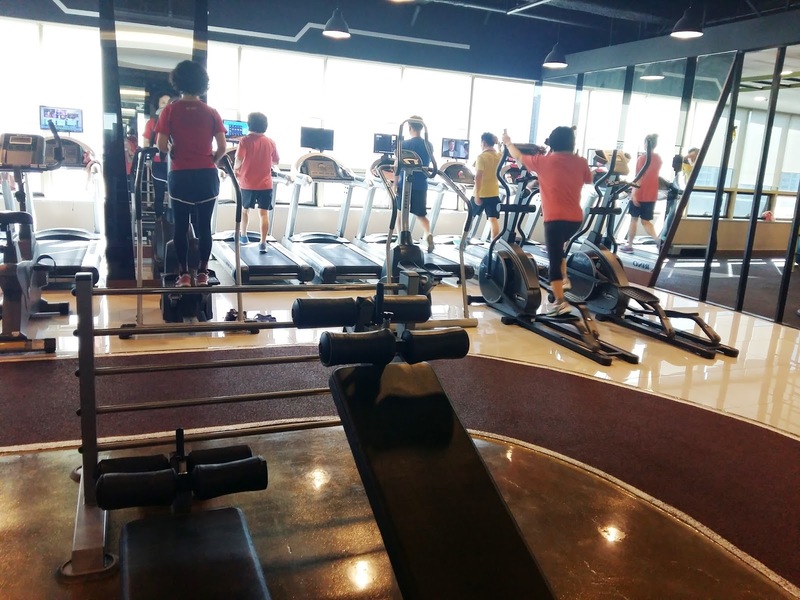 This fitness franchise was set to open at the beginning of October 2015 in Hwamyeong. 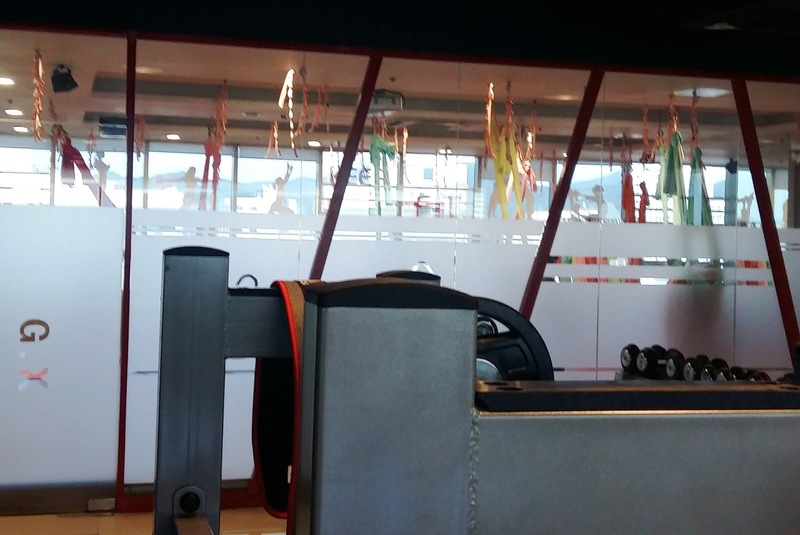 Look at us – getting a Subway Sandwiches and a snazzy new gym reminiscent of Good Life Fitness all in the same month. Things finally started to be turning around for our little out of the way suburb. What could be next, a Thursday Party location? 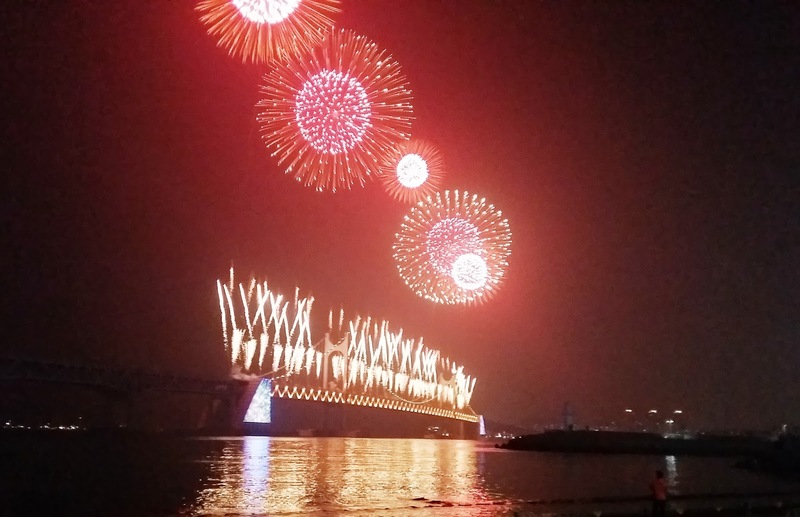 Maybe a Sharky’s Nakdong River location? 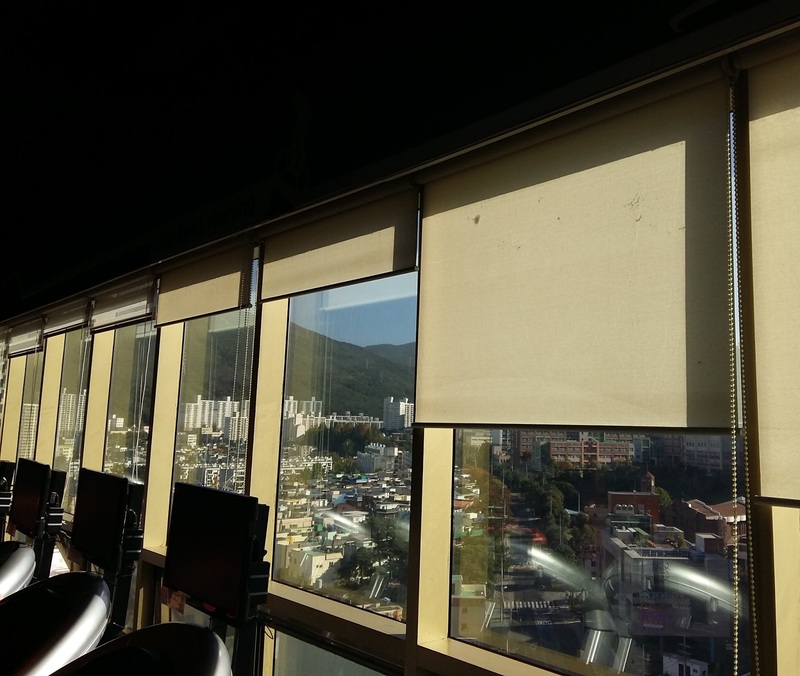 The sky seemed to be the limit – I mean, Koreans do have a tendency to build up! 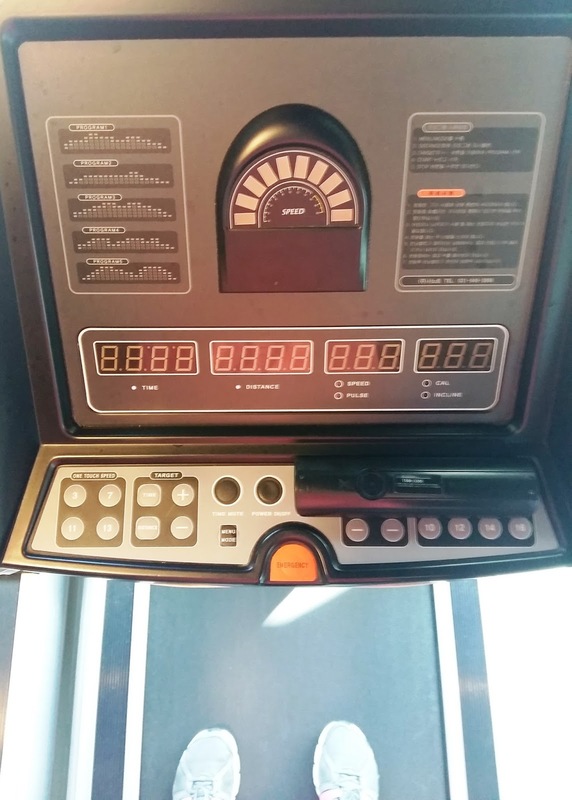 I was so excited to be in a new gym with my friend G. Whenever the creepy Adashis at Eco-gym would leer at us on the bikes or during our squat routines we’d look at one another and chant “Velocity…just think of Velocity…” Sadly for me, Velocity never came and would never come. 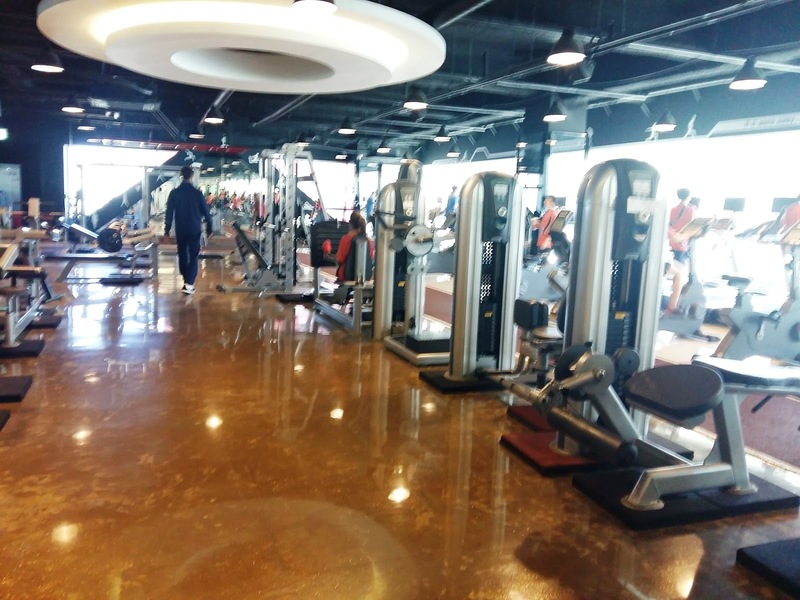 We were told the new gym would open the first week of October, which meant there was no reason for me to buy another Eco-gym membership as upon my return from Shanghai I’d have a beautiful new fitness facility to enjoy. No such luck. We were told that the opening day was being pushed back to the 15th. No problem. Jillian Michaels and I had done great things together through her “30 Day Shred”, and I wasn’t about to put back on all the weight I had lost by this point. (I’m estimating about 25 lbs from my heaviest in Korea). I cut way down on calories and started doing 2 or 3 workout videos a day just to keep edging down. When Velocity told me that the day had been pushed to October 26th, I was really peeved but just kept going. Fast forward to Saturday, October 24th. 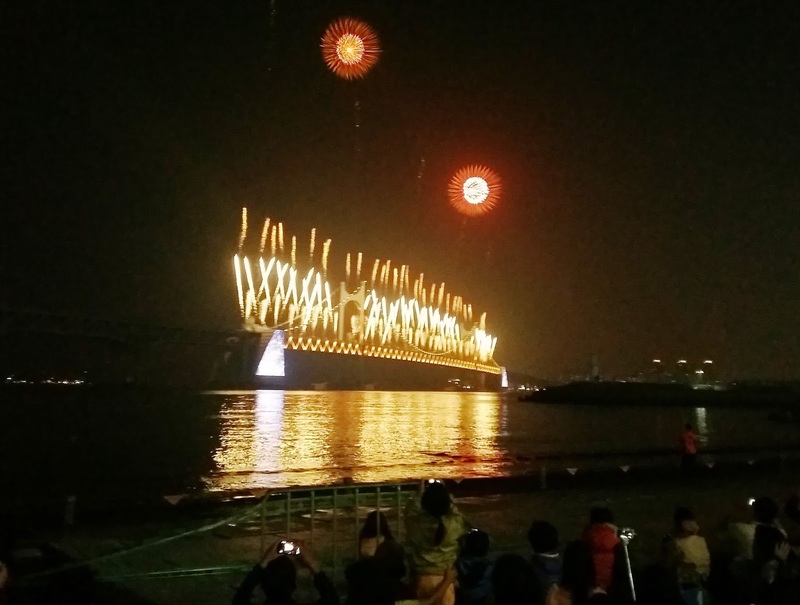 While enjoying the fireworks at Gwangalli Beach, I received a text message in Korean from the guy who had registered G and I (in perfect English). I used my translator and found that November 6th would be the new grand opening date. That was the last straw. After having the day pushed back 3 times with no guarantee in sight that this would be the last time, I spoke with the sales rep last Tuesday, saw the facility in such disarray that November 6th was a pipe dream, and got my deposit back. 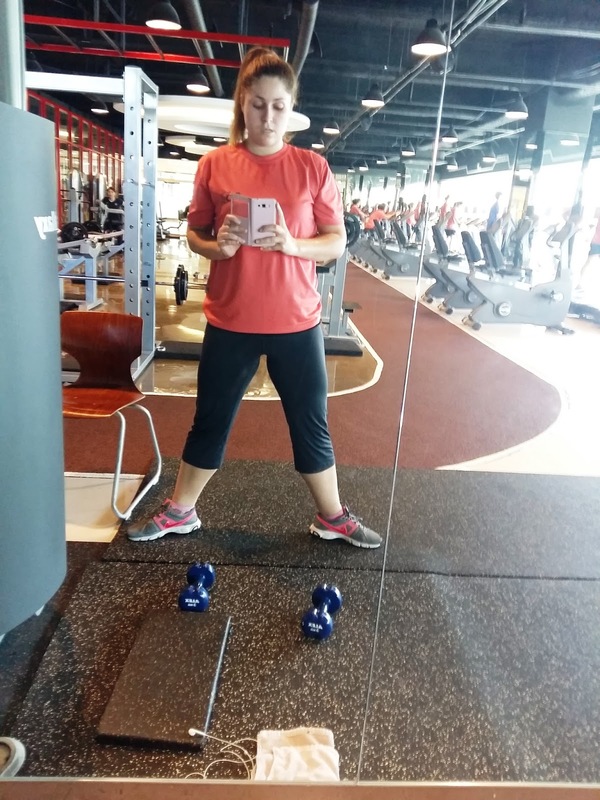 A colleague of mine takes her fitness quite seriously and mentioned to me that her gym might be cheaper than Velocity (and, of course, was already open). She called SPO+ Gym (now WINS Fitness) on my behalf and got some details for me. She even generously offered to go with me to speak with a manager there. It’s a block away from Velocity (so 3 blocks from my apartment) and was over $100 cheaper for a year. I also negotiated a yoga class every week as well, so there’s really good bang for my buck. 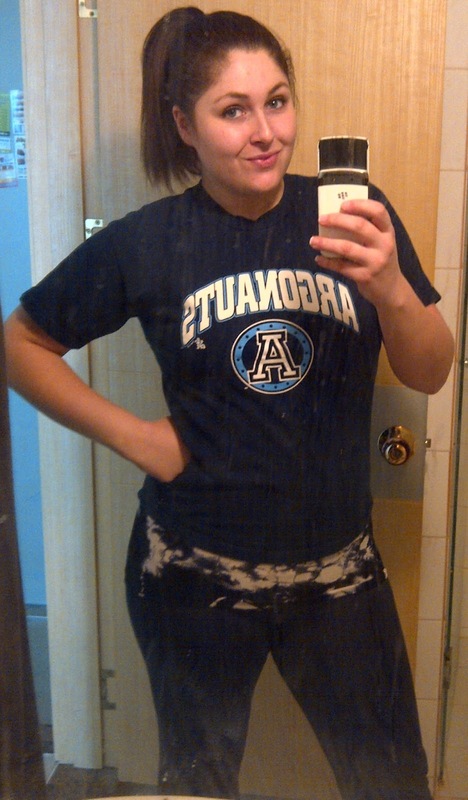 I got back into the gym last Wednesday, Thursday, Friday, Saturday, skipped Sunday, and went back today (Monday). 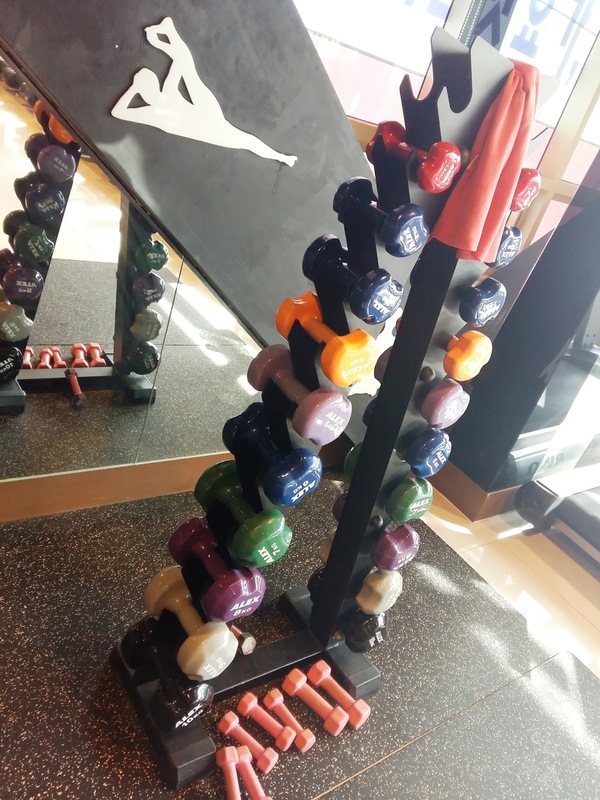 The gym is fantastic and I’ve been spending anywhere from an hour and a half to just over two hours every visit. With my year-long membership I get access to the entire gym plus my yoga classes, I get a locker, uniform (and laundry! 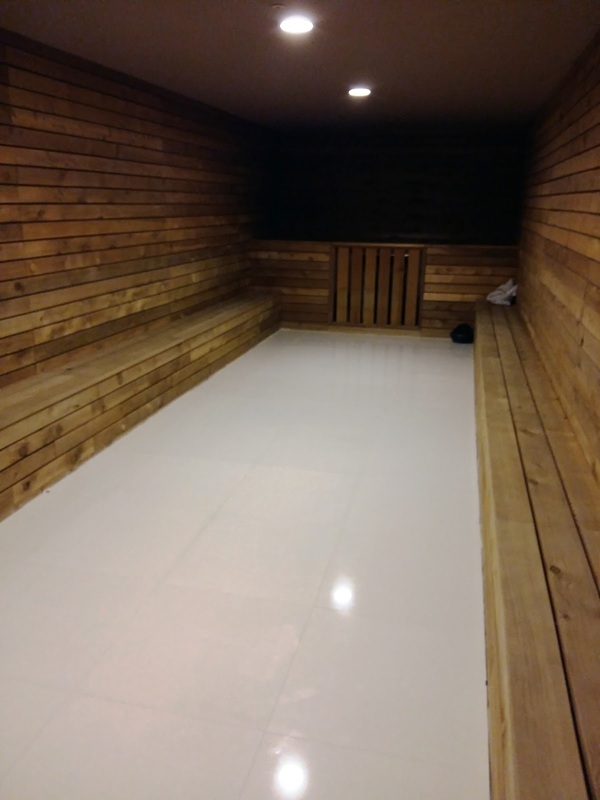 ), and towels, as well as access to the biggest sauna/ steam room I’ve ever seen. 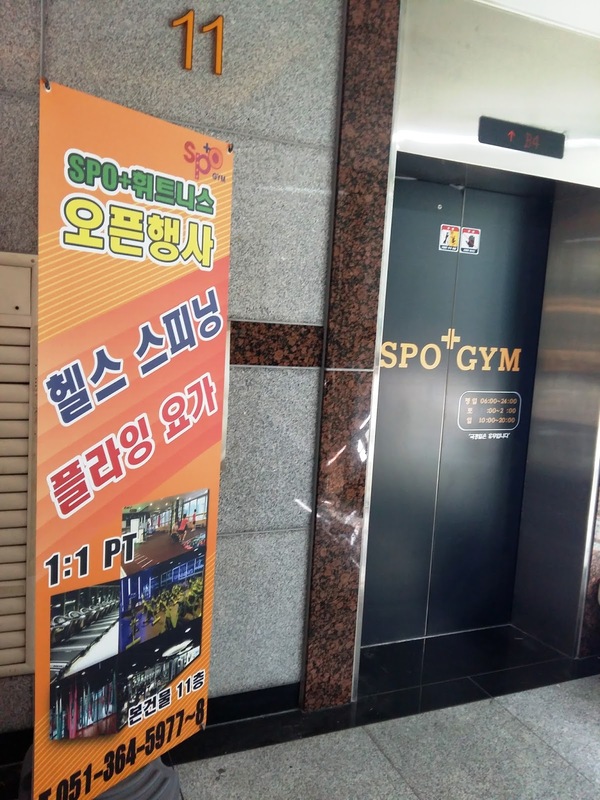 SPO+ Gym offers spinning classes, Vinyasa, Aerial, and Hot Yoga, Zumba, an Adidas fitness course, and a few others I haven’t yet translated. 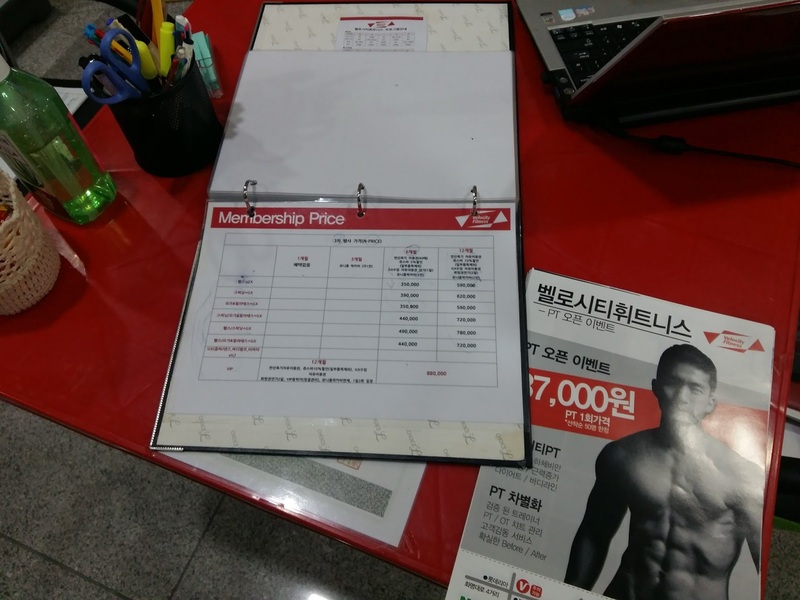 They also offer Personal Training from Korean fitness competitors (bikini and bodybuilding/ women and men) should I ever feel like learning some new moves. 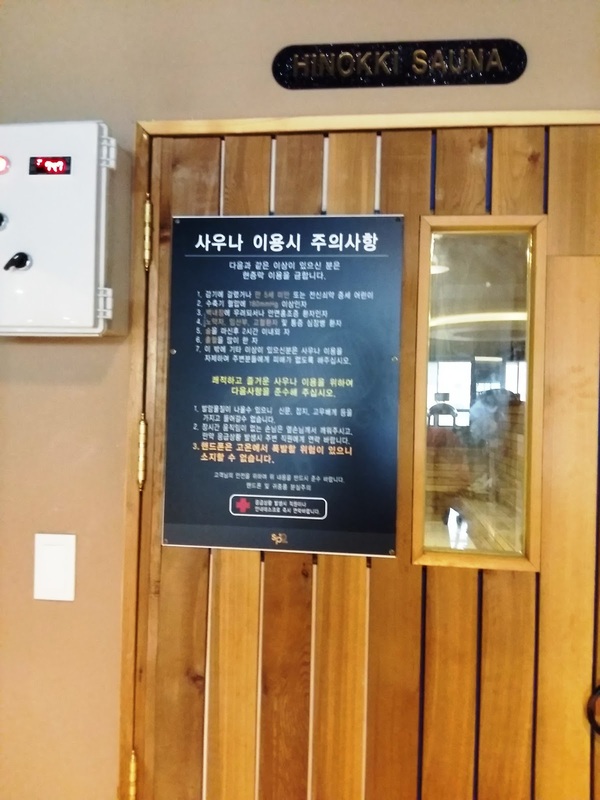 I also really dig the friendly faces of the staff who circulate the entirety of the gym, making sure to throw an “안녕하세요!” your way every 20 minutes or so. 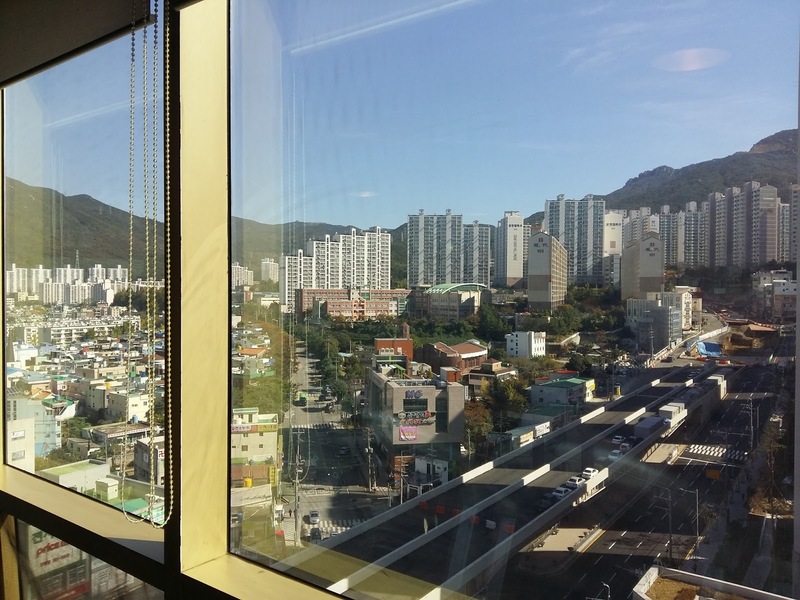 When I get on the treadmill, there are floor to ceiling windows offering an 11th floor view of the stunning mountain vistas I so enjoy in Hwamyeong. The walls are plastered with motivational phrases like: “If it was easy, everyone would be doing it”, “Just keep running” (my mantra every time I’m on that dang treadmill! ), and my personal favorite: “Just do squats”. Ladies, that booty isn’t going to grow itself – get squatting! I’m now down 35 lbs from what I gather to be my heaviest weight here, am 5 lbs away from the last time I fit into my graduation dress, and am 14 lbs from my graduation weight. I can fit into a pair of jeans that I bought in Vancouver in 2008 and haven’t fit into properly since 2011 (yes – I realise I’m crazy for keeping some of these things, but if your favorite pair of jeans is still in good condition you keep ’em). I usually eat the same things every day Monday – Friday, modify on Saturday, and have my cheat day on Sunday. Typically I’ll have either a yogurt cup or a 99 calories granola bar for breakfast before the gym. 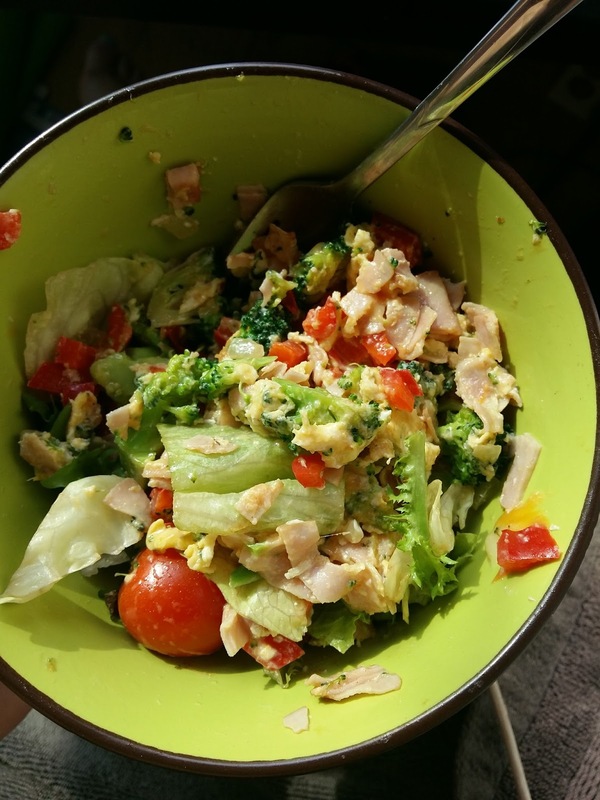 For lunch I’ll have an egg scramble with onions, peppers, broccoli, and sometimes zucchini sauteed in half a tablespoon of extra virgin coconut oil. I’ll add a portion of either ham or chicken breast, calorie-controlled colby jack cheese, and 2 eggs and then serve it up on a bed of mixed greens. I have a snack of protein powder and water halfway through the afternoon (I order Cellucor brand protein powder from iHerb every couple of months – it usually arrives within 3-4 days. The Cellucor brand actually tastes really great just shaken up with water and it’s 130 calories with 25 grams of protein – one of my kids thinks I reeeeeeeally like coffee ^^). For dinner, I usually have some rice, chicken, and mixed greens again. I aim to take in 1200-1300 calories in order to continue to lose weight. This is definitely on the low side (never go under 1200 calories, women! You’ll start storing what you take in as fat) but I do feel full and I’m trying my best to listen to my body to find a balance. I get in 45 minutes to an hour of cardio 6 days a week plus 45 minutes to an hour of weight training. Sundays are for me, and if I want to sleep in I will, and if I feel like hitting the gym then I can (but I usually don’t). If I want to have pizza or fries on Sunday then that’s the day to do it. Monday morning rise and grind starts all over again. Update: For breakfast, I mix Cellucor protein powder (120 calories and 25g of protein!) with water in a shaker bottle (all available at iHerb – click here for 10% off your first order!). I have a 99 calorie granola bar as a snack, go through 3 – 4 L of water every day, have a turkey sub for lunch loaded with veggies and only the tiniest bit of mayo or mustard, and for dinner I usually make some combination of a protein (one of chicken, ground beef, eggs, bacon, or cheese), squash, peppers, and salad. On the weekends I allow myself to go out with friends and enjoy a nice meal. Once you shift your perspective from short term restriction to a long-term habit of fueling your body, making healthy choices is a lot easier! While I’m really bummed about Velocity Fitness and not being able to work out with the group of local buds that have also joined, I’m really happy to be back in the gym and working on my fitness level in a space that isn’t also my kitchen, living room, and bedroom (I have a studio apartment). 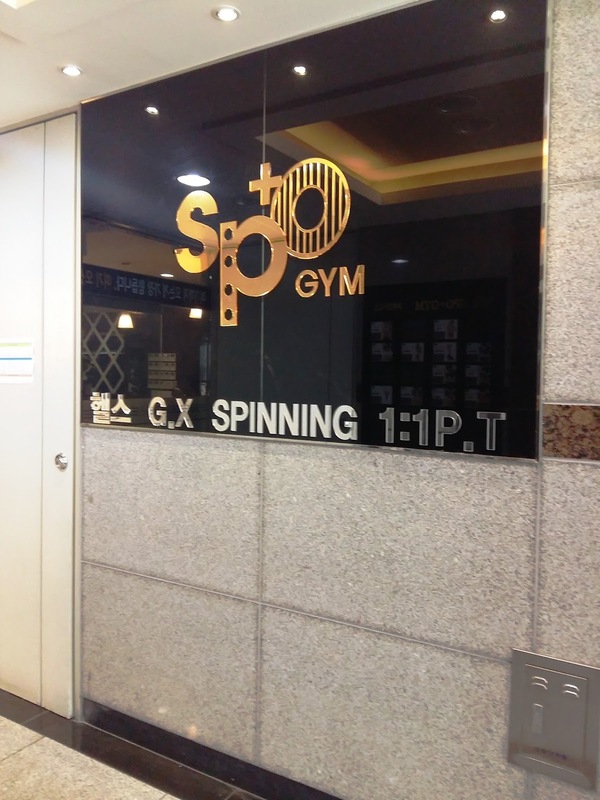 A few of my friends are interested in joining SPO+ Gym, but sadly G is sticking to her guns with Velocity (she got a pretty stellar contract renegotiation so I don’t blame her, but it seems she was the only one who got any benefits because of the delays upon delays). Had you told me a year ago I’d be rockin’ a crop top for Hallowe’en 2015, I would have called you Bananas. I genuinely thought that because losing weight in Toronto had been so incredibly difficulty I’d just kind of…be fat forever. It’s not easy and I don’t think this lifestyle ever will be, but I’m enjoying it more and more each day. I love getting up and walking to my new gym. Getting a good sweat on is one of the best parts of my day. I crave hitting all my macros and cooking with tons of vegetables. The routine I’ve developed over the past few months has given me a sense of calm as well as a sense of fulfillment. As of this past weekend, I’m also enjoying the attention I most certainly was not getting back in Toronto. Next Post Hallowe’en in the Bu! Woohoo! Thats awesome! Keep it up! Wow look at that Keep it up yo. You are doing great work.